Association-wide strategic plan in the works. Show Committee's work to define clear goals and purpose is paying off. Committees to guide association resources and plans in regards to the strategic plan are shaping up. 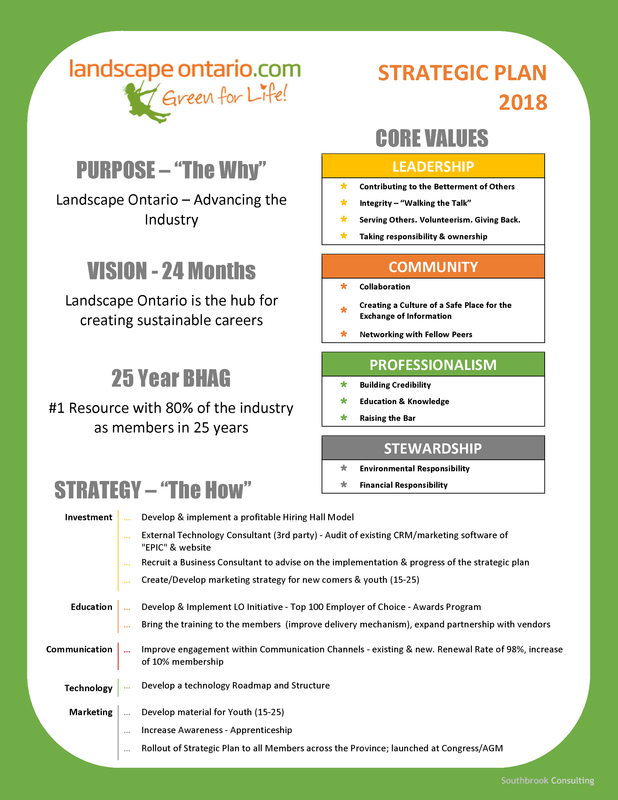 In 1991, Landscape Ontario's past presidents decided that a long range vision was necessary to provide focus and direction to the continual growth of the association. The official strategic plan was developed and adopted as a guiding document. Last updated in 2008, an association-wide process took place in 2018 that sought input from all stakeholders (Chapter and sector group boards, volunteers, members, staff and board members), facilitated by Nathan Helder of Southbrook Consulting.